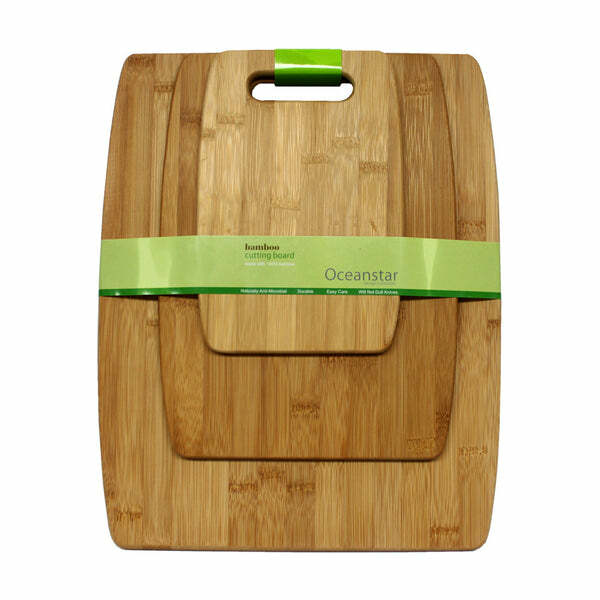 Oceanstar 3-Piece Bamboo Cutting Board Set CB1156 (cutting board, kitchen, oceanstar) | Cutting Board | Oceanstar Design Group Inc.
Have a handy set of cuttings boards to assist you in preparing your meals. 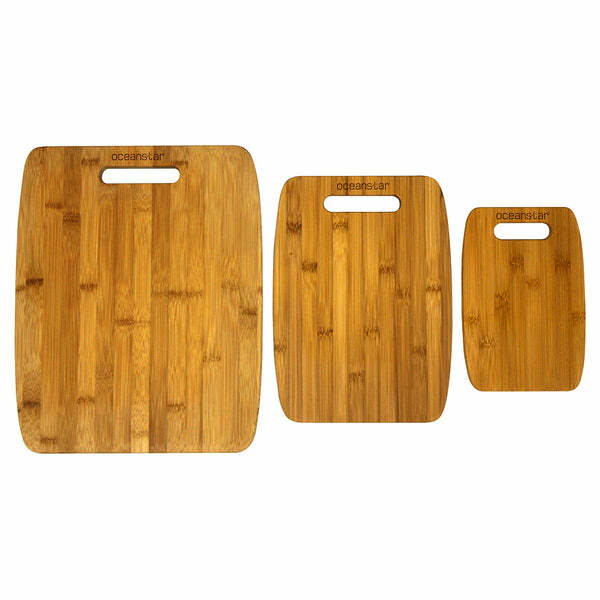 This 3-piece bamboo cutting board set from Oceanstar Design Collection comes in 3 different sizes for different usages. You can use the small sized cutting board for cutting fruits to serve houseguests while preparing different ingredients for a delicious meal on the other cutting boards. This allows for a more sanitary way of using the cutting board. The nature of bamboo makes it elegant on any kitchen counter. Its lightweight design is easy to store and easy to maintain. Furthermore, bamboo cutting boards are popular and ecofriendly due to their durability and are considered environmentally friendly. How to clean: Simply use a sponge with dishwashing detergent and warm water to clean the cutting board after every use, and rinse thoroughly afterwards. How to keep its durability: Use a cotton cloth to apply warm mineral oil (or oil specifically designed for bamboo cutting boards) onto surface of cutting board. Let it soak for 20 minutes before wiping excess away with a dry cloth. Perform this action before using the cutting board for the first time, and at least once per month thereafter. Special caution: Do not put bamboo cutting board in the dishwasher or immerse it in water for a long period of time, as this will cause damage to the finish that cannot be repaired. In addition, never apply vinegar or undiluted bleach to bamboo cutting boards. Do not use vegetable oils such as olive and safflower to oil your bamboo cutting boards. These oils can go rancid, which will ruin your cutting board. Mineral oil will never spoil, which is why it is favored for this purpose. 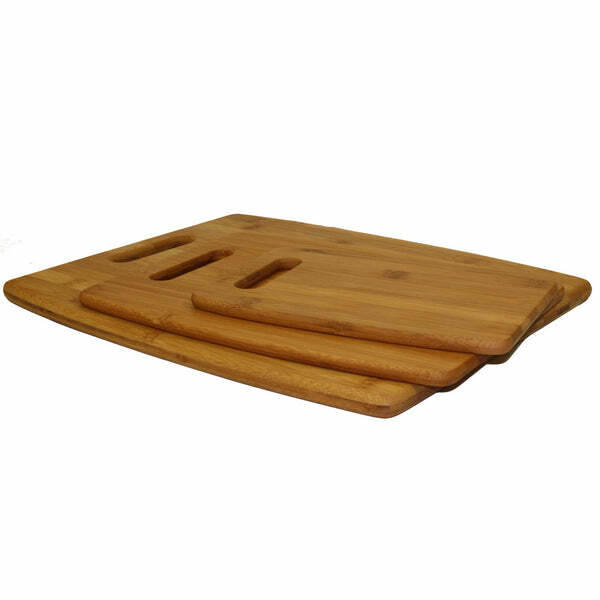 Find more Cutting Board or additional Oceanstar Design Group Inc. products.